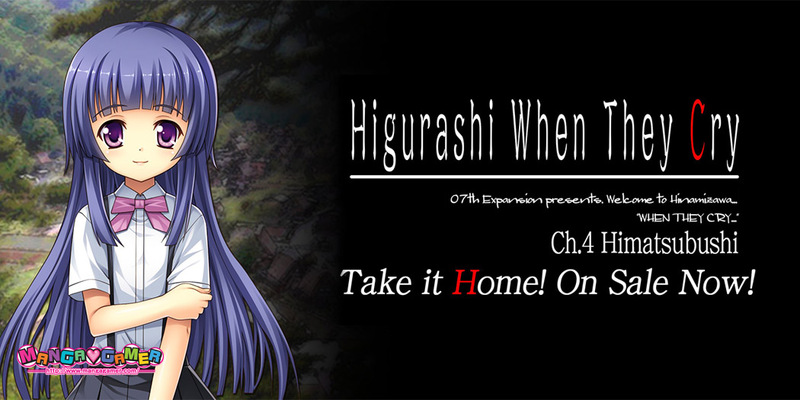 Higurashi Chapter 4 Himatsubushi is Now On Sale! Chapter four of Higurashi Hou, Himatsubushi, is now on sale on MangaGamer.com! You can also pick it up in the Question Arc bundle! Himatsubushi will be available on Steam as well later today. Any update on the steam release?